Just as it is important to make sure you "recycle right" it is equally imperative that your yard waste is "clean". Read on for a Yard Waste 101. Support SCARCE with your Amazon purchases by selecting us as your Amazon Smile charity. Then give for good by making a contribution to SCARCE on Giving Tuesday, on November 28th. Your on-going financial support helps us continue our mission to inspire action for the environment through education and divert tons of educational resources from the landfill through our Book Rescue. Together, we are creating a brighter future for people and the planet. Drop off your pumpkin for composting at one of over 30 sites across Illinois. Composting is nature's form of recycling - so don't trash your pumpkin after Halloween, smash it! This month we highlight a volunteer that helped transport much needed band uniforms and medical supplies, Clarendon Hills students dedicate their creativity to the Pumpkin Smash, and Wheaton promotes green transit. Residents are encouraged to submit comments to DuPage County Stromwater Management on the draft plan to improve water quality in southeast DuPage County. Sonic Sea was created by the NRDC to call attention to a little known plight of our aquatic life. Watch for free on Vimeo with code SONICSEE. When catastrophe strikes, SCARCE finds ways to contribute to relief efforts. Learn more about how we worked with local groups to get items from SCARCE to Houston and Puerto Rico. Mayor Brummel, SCARCE founder Kay McKeen, and the Warrenville Police Chief and Deputy police chief celebrate the start of their RX program. Residents can now responsibly dispose of medicines at the Warrenville Police Department. SCARCE provided the collection bin thanks to a DuPage Foundation grant that supports expanding the RX program. Attention public works, turf managers and lawn maintenance professionals - you don't want to miss this workshop! Learn how you can manage grass to minimize environmental and health risk without blowing your budget. Check with local food pantries to donate items for reuse such as reusable or paper shopping bags. Do you deep fry your Thanksgiving turkey? Protect your pipes and recycle your used cooking oil at this annual event. 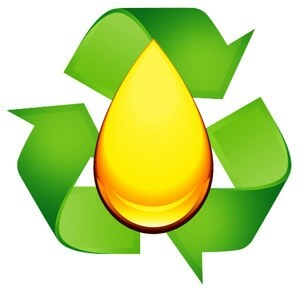 Learn more about how cooking oil recycling is good for the planet and your pocketbook. How is eating seafood and doing your laundry connected? Results of a new study confirm the presence of plastic microfibers from our clothing in shellfish. Learn what you can do. Seeing is believing when it comes to SCARCE! If you've never visited our facility, drop by between 3-7pm. There will be tours, opportunities to learn about our education programs, community initiatives and more! Remote towns in Alaska have become models for communities looking to adapt their power grids to be more resilient in the face of increasingly powerful storms. Individuals and organizations are encouraged to apply for funds for projects that help improve regional water quality. Past funded projects include green roofs, permeable pavers, and streambank stabilization. Fall recycling events are wrapping up! Stay tuned for the Spring 2018 season. Ladies from the Elmhurst Junior Women's Club help organize donations. SCARCE Book Rescue Mon-Wed-Fri 9am-4:30pm. We need volunteers that can lift!